IRÁN. YVERT 2131/2 SERIE COMPLETA USADA. PHILEXFRANCE 89. MEDICINA. 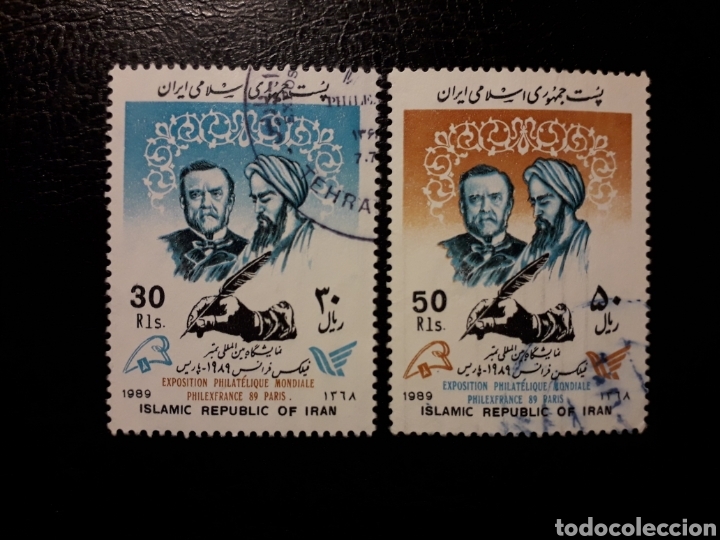 AL-RIZI Y PASTEUR. IRÁN YVERT A-89/94. SERIE COMPLETA USADA. AVIONES. SHA REZZA PALEVI. IRÁN. YVERT 1420. SERIE COMPLETA USADA. MEDICINA. CORAZÓN. IRÁN. YVERT 2151/2 SERIE COMPLETA USADA. HERENCIA CULTURAL. Offizielle Uhrzeit TC: 02:33:44 TR: 217 ms.